Living a luxurious lifestyle in the most beautiful homes by enjoying the best modern comforts and luxuries is the desire of every human being. From rich to poor, everyone wants growth and a better life. 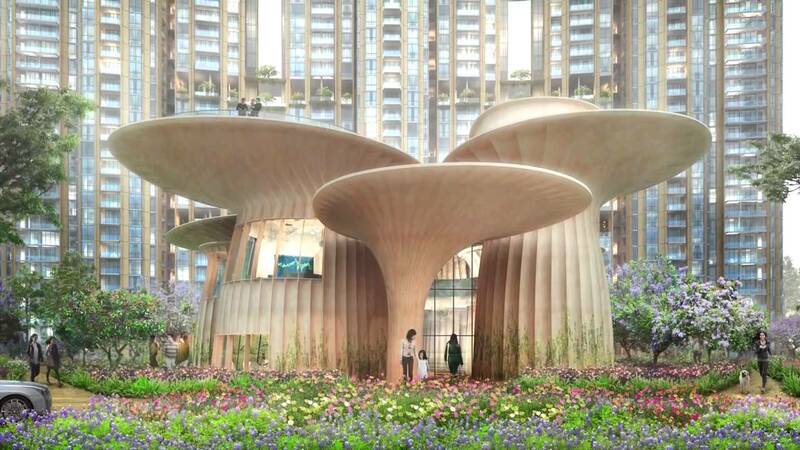 In National Capital Region, people are carving for the stylish life experience in the sophisticated luxury apartments. This has led to an increase in the demand for luxurious properties for this reason. To allow the homebuyers a pleasant and comfortable lifestyle in the wonderfully constructed homes, Vipul Aarohan has come with a wide range of stylish living apartments. 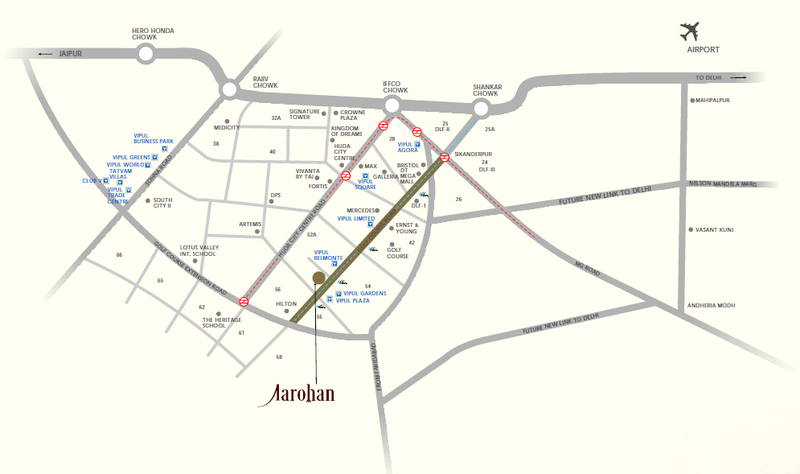 The wonderful location of Vipul Aarohan Sector 53 itself admires the glory of this brilliant construction. A very smooth and rapid travelling from the township offers the residents seamless connectivity to move around the whole National Capital Region in less time. The thoughtfully planned and strategically located brilliant construction has outstanding proximity to several renowned schools, universities, coaching institutes, training centres, ATMs, banks, best medical and healthcare facilities, chemists, departmental stores, supermarkets, shopping malls, cinema halls, restaurants and many other useful places which are important for public utility. The wonderful project boasts over 19.5 acres of land where 12 meticulously designed towers contain G +36 and G +34 floors. 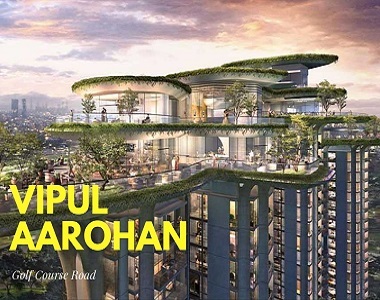 The 3 BHK homes in Vipul Aarohan Gurgaon will allow possession from June 2020 which are available now for sale and having different sizes in the range from 2025 sq. ft. to 2940 sq. ft. All these ultra-modern homes are 100 percent Vaastu and eco-friendly. Their brilliant floor planning allows the residents to utilize the maximum of every single inch space. There is ample ventilation in these RCC framed structures to provide the residents with natural daylight and fresh open air. The grilled protection in the large windows ensures the safety of the buyers and with the wide and spacious balconies, you can enjoy the spectacular views of landscape areas. The beautiful interiors in these outstanding living spaces are wisely planned and designed with unique luxury elements. There are wonderful living and dining areas with vitrified tiles floorings, modular kitchens with granite tops, Italian marble flooring, gas chimney/chulha and hob, steel sink, R.O. Water Purifier etc., stylish bedrooms have glorious wooden tile flooring. The veneered finishing on the main doors is simply fabulous which add the beauty of full-secured video door phones. Here are some other useful and exciting features for which Vipul Aarohan Golf Course Road is in great sort of discussion these days amongst the homebuyers in Gurgaon. When someone offers such huge offers with magnificent homes, users are obviously estimating a high amount for the worth of living space there. But this is not true when you are selecting homes in this luxurious township. Because with payment plans and several home loan offers, the purchase becomes easier with the comparative Vipul Aarohan Price which ranges from Rs. 2.93 crores to Rs. 4.26 crores. The exciting price range is a true justice with a wide range of external amenities and modern facilities available in this wonderful project. Some of these additional features and specifications include nursery school, crèche, a large infinity pool with separate kids’ pool area, a grand clubhouse, multipurpose hall, well-maintained gymnasium, round-the-clock security with CCTV monitoring, open space, landscaped gardens, intercom, meditation centre, multipurpose courts for different games, indoor games, large playground for kids, power backup, non-stop water supply, Wi-Fi connection, amphitheatre, day care centre, Laundromat and many more. Prices are likely to be rise here very soon. 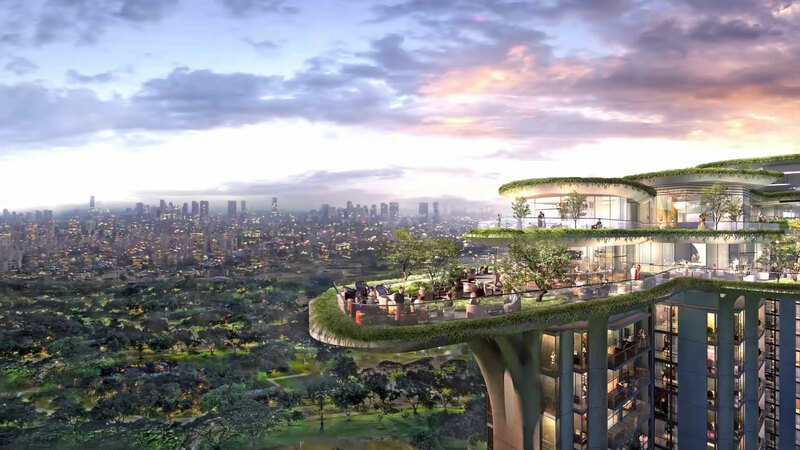 So, it is better for the interested buyers to buy their sophisticated living space here now to get the chances to make the multiples of their investment. Located at Sec-53, Main Golf Course Road, Gurgaon.